You will be directed to the core of a challenging issue, (or whatever, you want to work on), and be assisted to release the energy and transform how that situation is held in the body. Practitioners can tap into an infinite number of healing techniques and resources to assist you to release those energies no longer serving you. You remain fully aware of what’s happening. Remember that this is therapy and your subconscious mind, and your soul, knows you will be held safely so you can do whatever work is needed, which may feel a bit uncomfortable. Once the root cause or the source of an issue has been identified, the practitioner spends some time validating whether that was the initial sensitising event, situation or circumstance, that created the belief, that caused the feeling, and now informs the behaviour, or supports the stuck energy. You are then guided to a point of realisation, (normally shown a different perspective of what actually happened), which destabilises the energetic foundation that was supporting the belief. Those that can let go and trust their own inner wisdom, and those that have experience with hypnosis, Spirit Journeys and guided meditation, tend to gain a lot of insight from a single session. There is no such thing as a 'failed session' and you will always get what you need and what you are ready for at this stage of your life.Meditation and relaxation before your session can assist you to relax deeply and let go during the session. However, a lite vested interest in the outcome, can do wonders to spark your Soul's interest in providing answers. Try to remain open minded and let the practitioner know if there are any concerns, doubts and fears that you may have regarding the session. There is nothing to worry about as you are always in control and can return to full waking consciousness whenever you choose. My Practice has helped me to unravel, what I now realise to be, such a pithy term: “trauma”. I now realise that this word can be so inadequate in describing the full spectrum of energetic afflictions that plague people. More importantly, I also realise that they are not actually afflictions. My personal experiences have proven to me that no one is broken, or incapable, or irreparably damaged, or indeed a victim. I had previously held this notion as theory and now I really believe it. My new awareness of these aspects of the human condition now equip me to hold a much more empowering attitude to my interventions with people. As I now realise that we all have access to an infinite source of capability and healing and can find our own answers if facilitated in a manner that lets us discover them for ourselves. I believe that I have become more receptive and certainly more compassionate as I’ve been able to shift much of my own stuck energies and now have a better understanding of the journey my soul has taken to bring me to today. Having sat in the chair myself has helped me experience what I will be facilitating for many of my clients and this has enriched my learning and practice and I truly know what it feels like to shift stuck energy. MindEnergetix & HypnoEnergetics are forms of Hypnotherapy that enable you to find, release and transform the trauma, forgotten experiences, or situations from the past, that are stuck in your body; and are now holding you back. The energy of these experiences gets trapped in the body and we may experience it as our current state, our present emotions, or a reaction to a new situation. Ideally you are willing and prepared to sit with a small level of discomfort for a short amount of time so that we can access what needs to be shifted and transformed. It may be a little discomfort (or painful memory) for a very big gain. By changing a few ingredients, it forces all of the other vibrations, associated with the energy you changed, to adjust as well. The whole fabric of the reality you are perceiving can change. 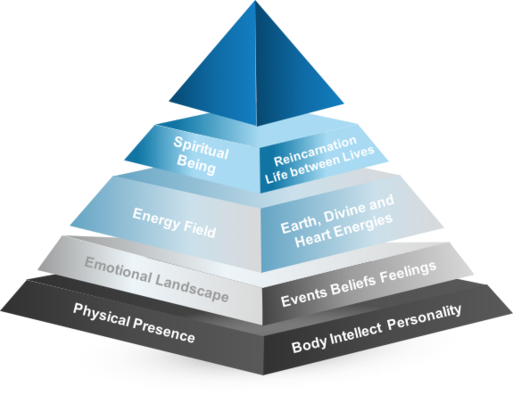 All of our experiences create their respective physical chemistry inside the body. We also inherit the "chemistry" of our mother’s experiences that she had while we were in the womb. The study of epigenetics explores this area further and shows that experiences are passed down through generations and can alter how genes are expressed. Our genes are carrying energetic impressions from our ancestors. We are also impacted by the experiences of our ancestors and our own early life experiences also modify our genes to produce healthy or unhealthy effects. Also, language (including our thoughts and spoken words), has a significant effect on our energy. It has the power to lift our states or lower them. Scientific research done in Russia has shown that it is entirely normal and natural for our DNA to respond directly to the vibration and structure of language. Genetic code follows the same rules as all our human languages and DNA stores its data much like a computer. It is recording and storing the frequencies, thoughts, beliefs and vibrations to which we are exposed. Releasing the old energy now makes space for new energy and new understandings or realisations and more supportive beliefs. You are directed to make new realisations. The old energy is stripped from your being and a new state is permeated throughout your energetic timeline and directed to every aspect of the being that needs the healing. For those that like to hear reasons. Hypno Energetics typically takes up to 2 – 2.5 hours and it is prudent to allow up to 3 hours. It’s useful to take time after a session to integrate your experience. Allow yourself the time, without needing to return to work or undertake any busy activities afterwards. Quiet time to reflect is recommended if at all possible. It is also advised to drink less caffeine before the session.